Roseanne Barr, Lewis Black, Louis C.K., along with cast members from “Desperate Housewives” and “Entourage will join the talent lineup for the all-star Comic Relief 2006. Donations are already being accepted at the toll-free number 1-800-5281000, or at Comic Relief’s website, www.comicrelief.org, here. Thirty bucks gets you a Comic Relief 2006 tee shirt. 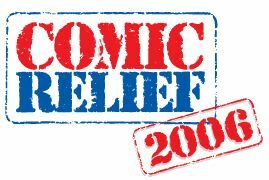 For 20 years the Comic Relief organization has produced more than 80 shows, including the first eight major “Comic Relief” events seen on HBO from 1986 to 1998, which raised more than $50 million for programs aiding the homeless throughout the U.S. In 1992, Comic Relief mounted the first major benefit concert for victims of Hurricane Andrew, which raised $2 million in one night. There are still tickets for the three-hour concert to be held at Caesar’s Palace, the culminating night of The (week long) Comedy Festival. For more, check out the full AP story in WY’s Star Tribune and an interview with Whoopi Goldberg regarding the reunion in this week’s Newsweek or here at MSNBC. 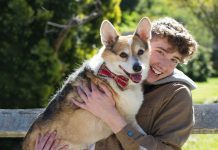 Laughing is good for your health so mark your calendars!